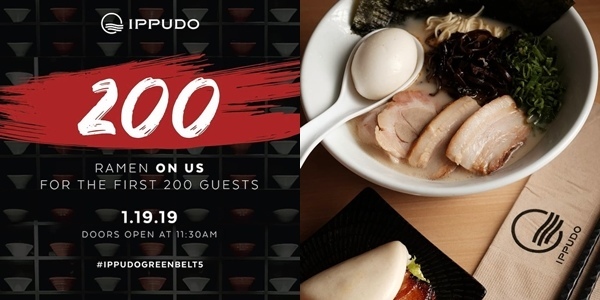 Ippudo Opens at Greenbelt 5 and They're Giving Away Bowls of Ramen! Heads up to all ramen lovers of the city! Ramen chain Ippudo will be opening their branch at Greenbelt 5, Makati on January 19. Along with this, the ramen place will be offering a special promo. The first 200 bowls are on the house! 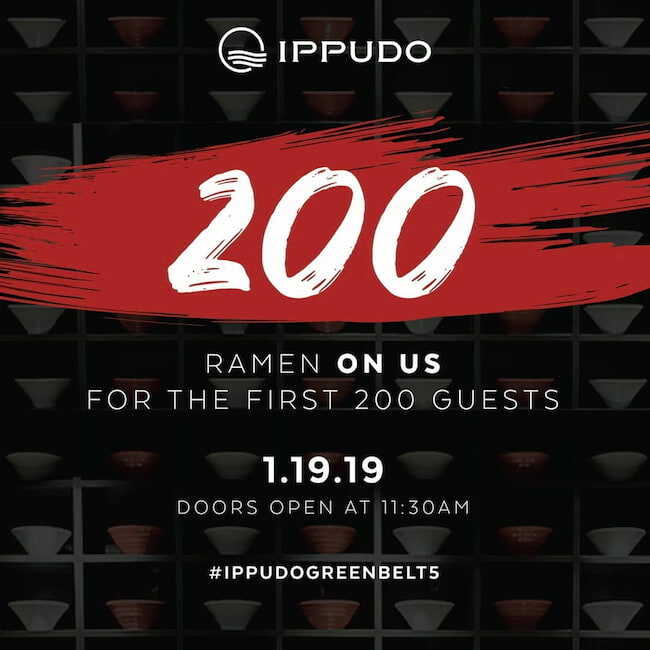 The promo will follow a first come, first served basis when its doors open at 11:30 a.m. To get your free bowl, all you have to do is to Like and Follow @ippudoph on Facebook and Instagram, and share or repost the photo above and tag 3 friends with the hashtags #IppudoPH and #IppudoGreenbelt5. Take a screenshot of your shared post and show it to any Ippudo representative and you can already enjoy your free ramen bowl! And don't forget to come early! Ippudo is located at 2/F Greenbelt 5, Ayala Center, Makati City.